DTS SPINAL DECOMPRESSION THERAPY is the leading non-surgical alternative for disc related syndromes of the lumbar and cervical spine. 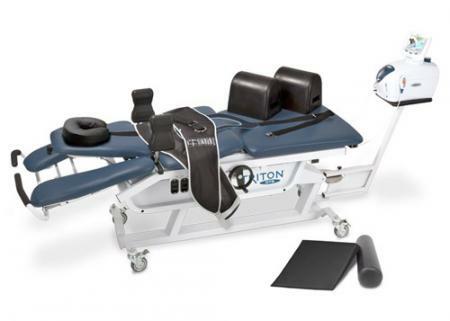 DTS Therapy uses simple, yet sophisticated equipment manufactured by the leading rehabilitation equipment manufactured in the US, Chatanooga Group. Chatatanooga's Triton DTS is the most popular decompression system with thousands of installations worldwide. Therapy sessions typically last less than 20 minutes, many patients feel pain relief with as few as 8-10 treatments. It is important to remember however, that pain subsiding does mean that your discs and spine are healed, so it is critical that patients stick with the treatment protocol prescribed by our office.